I recently wrote a post for the Legacy Coalition facebook page which I want to encourage you to read today. In it I talk about how Deuteronomy 31:13 challenged me to focus on what is most important . 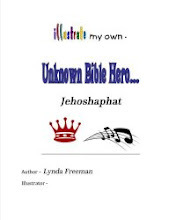 . . helping my grandsons know, respect and honor God for themselves. 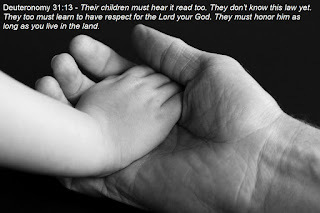 You will find the post at this link - please read it and then the next time you are with your grandchildren (or make time to call, email or snail mail them), be sure to share with them what you do to know, respect and honor God. Help them do the same by . . . Recently I shared with you information about my book; Science the Bible & Fun!I also posted one complete lesson for you to see and try. 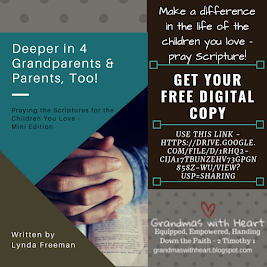 I believe this is a resource grandparents will be able to use with their grandchildren to pass on their faith. I believe parents will be able to do the same. I believe home-schoolers will find this resource one which would fit nicely with their school plans by providing science experiments and Bible study. I also believe churches may find it to be a resource which fits very well with their mid-week ministry needs. I believe it is a resource which will fill the needs of many; but then I did write it! 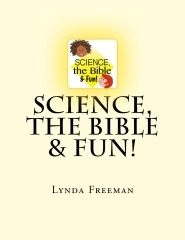 So, today I want to share with you what other people are saying about Science the Bible & Fun! . . .
Praying Intentionally - Deeper In . . . Give It a Try for Free! Praying grandparents. We all want to be praying grandparents. We all try to be praying grandparents, but how faithful are you in praying for your grandchildren - or children? Do you pray every day? Are you focused and intentional in how you pray? Or, do you feel like your prayers do not even reach the ceiling? Do you feel like you do not really know how to pray? Do you find it a challenge to pray every day? Whether we are grandparents or parents we know how important it is to pray for the children we love, but if we are honest, we may admit we struggle with praying faithfully. Summer is almost upon us! My grandsons get out of school on June 15th (Josiah's prayer request for me last week was for school to at least "seem" like it is going faster for these last two weeks!) and then I will be able to see them more - we are adding an extra sleepover each week throughout the summer! After all, what would summer be without more time with the grandsons? I'm looking forward to spending more time with my three sweet boys and part of this time will be spent intentionally focused on helping my grandsons know and walk more closely with Jesus! To do this we will be using my Science the Bible & Fun!curriculum. I wrote it to use with my grandsons and since they love the science projects and activities - it seems like a great "fit" for this Summer!